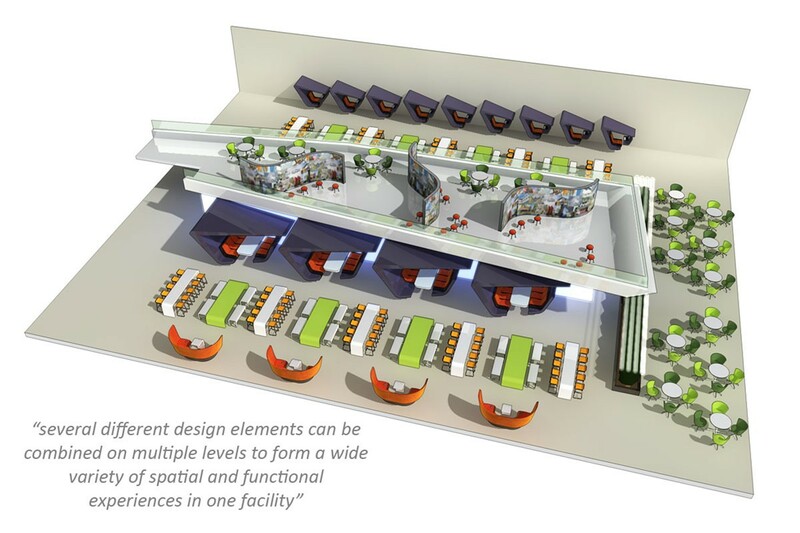 The University’s vision is to promote the ‘Learning Living Room’ culture by way of creating a centralised student hub, which would deliver key operational benefits. DarntonB3 have developed designs for the new student hub in line with the estate space strategy. The scheme will locate catering, retail and conferencing facilities in a more efficient location and to high standards.